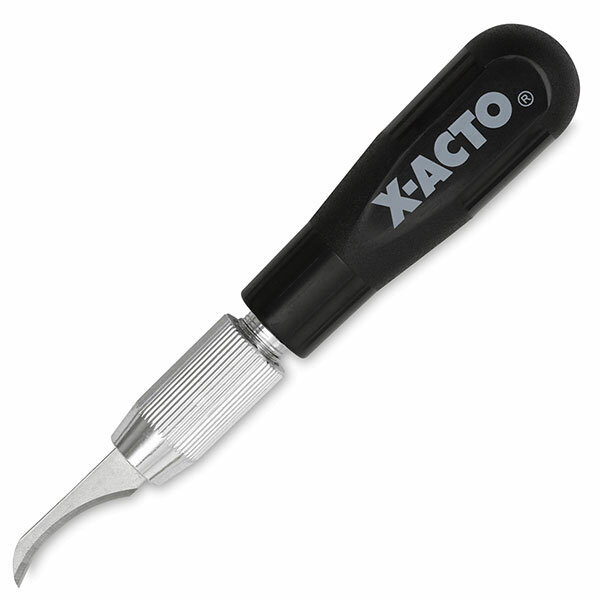 Lacquer-finished plastic handle for use with X-Acto woodcarving blades. A concave, ¾" radius blade is supplied with the handle, suitable for general carving. Woodcarving Blades — Precision-made with tempered carbon steel and designed to fit the X-Acto Woodcarving Knife handle. Each package contains two blades.